Africa Day, celebrated every year on 25 May for the last 50 years or so, is a chance to celebrate African unity and culture. Each year has a theme and this year was Celebrating Pan-Africanism, Rennaisance and Africa’s Rising. Positive people, positive change, a continent rising – isn’t it time we saw Africa differently? Watch Michael Sheen’s hilarious video here. For more ways to get involved in this campaign visit the See Africa Differently website. Why not visit the Ghana page of the Our Africa website – a site made by SOS Childrens Villages. On this site, young Africans tell you about their are like through video and imagery. A fantastic teachers resource! “Let’s work together to make our continent a haven of peace and an island of prosperity, not only for the present generation, but for those to come” – Madam Tihib Marie-Claire Kogda Somda, president, UN African Ambassadors Spouses group. See the official 2013 video here. 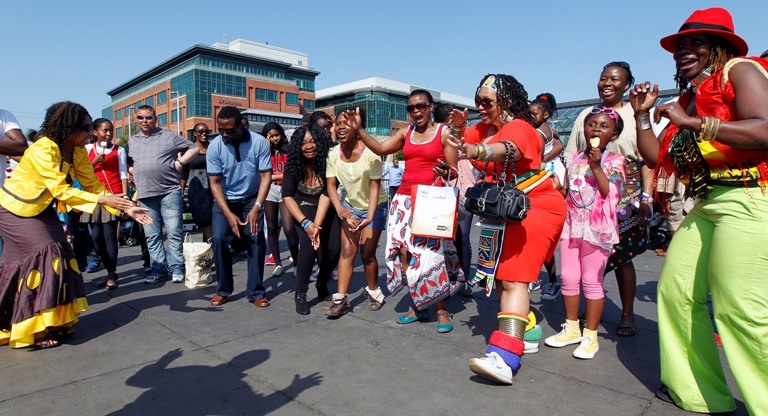 So now you’ve got some ideas, how will you celebrate Africa Day next year?